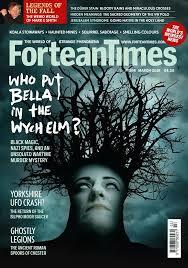 An article on Bella in the Wych Elm was published a few weeks ago by the Fortean Times. Written by Cathi Unsworth, the article seems to be primarily based on interviews with HD Paranormal's Jayne Harris. The author does manage to dodge a few of the most repeated errors (she doesn't say that Josef Jakobs was Czech) but does include a few (that Clara Bauerle had been a singer in the West Midlands music halls). It's a fairly well-written article and the author did attempt to track down some of the lingering anomalies about the Bella case. For example, many Bella stories quote Margaret Murray and her "Hand of Glory" theory, but no one has ever been able to point to primary source material for that story. The author adds a footnote which sheds some light on the issue... but doesn't solve the problem. The article used a photograph of Josef Jakobs without acknowledgement or provenance, a bit of an annoyance. For the record, other than the photographs from Josef's declassified MI5 files, all photographs of Josef Jakobs on the internet originate with either my website/blog or my contribution of a low-resolution photograph to Find-a-Grave. I have had others request permission to use the photograph, which I have happily granted. We would like to apologise for not providing correct attribution for the photograph of Josef Jakobs, which should have been as follows: Copyright GK Jakobs / www.josefjakobs.com. Giselle Jakobs is one of Josef’s granddaughters and has been researching his life for the last 30 years; her website is an excellent resource for information about Josef’s life and times.